Recently I’ve been on a total poster making run in my reading room. r computers and manipulatives available for student use. I also have a full size classroom (which I admit forthrightly I am VERY lucky to have!). I use this space to work with my small reading groups. I love having a separate classroom because I can decorate it however I want (and bring in all the books that were formally stored around my house!). One thing I am muddling around with is painting it. It’s currently painted blue with some darker blue accents. I admit I love leaving the lights off but Gosh! It can get so dreary! I was thinking painting the walls cream with yellow accents, but I have yet to run this by the custodial staff. Also as I’m writing this I am thinking buying some small lamps and placing them around strategically might be cute (there is a great consignment store in my town where I could get some! Totally going lamp shopping tomorrow!). So! I have been making posters for my reading room. When I instruct my students I often will write lists on the board to emphasize certain points. It always bugged me because after a while it got REALLY messy looking (especially since I have a chalkboard) and I would erase it all! But then a week later I would be working on the same topic and I would make the list again (topics are often reoccurring because the lessons are very individualized/differentiated and the students don’t all start working with me at the same time/work at the same pace leading to staggering). 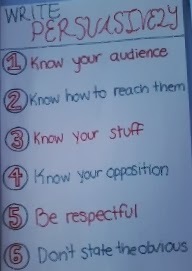 I noticed three of the lists I wrote the most were Point of View, Writing Persuasively, and Propositions. 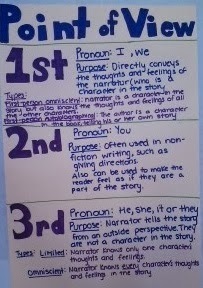 After creating these posters, it is SO much easier to just reference the posters during the lesson. I also like the fact that it raises the print in the room. 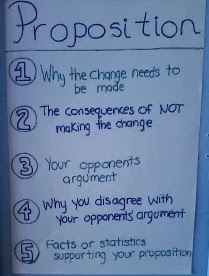 Students refer most often to the Point of View poster. Sometimes I’ll ask them a question about the point of view in a passage and how it effects how the story is told. They’ll sneak a look at the poster with a little smile, thinking that “Ha! 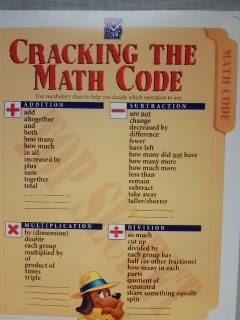 I’m using this poster to help me! I’m tricking Ms. K!” Little do they know, that’s exactly why I put it there - mission accomplished! Now that I have attacked my reading room, I’m itching to attack the math office/room. This is a little more sensitive since I don’t have free rein like I have in my reading room. Also, there are some posters that are already up. 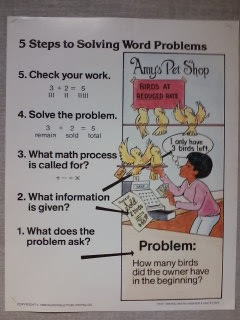 Some of them I like (a list of “clue” words for each operation) but some of them drive me wild (in a bad way), like the poster which outlines steps in solving word problems, where the first step is on the bottom and the last step is on the top of the poster. The posters were put up because we had them in storage and in theory are applicable to SRBI. With both examples I just gave, I feel they are not purposeful. Have you ever walked into a classroom and seen it beautifully decorated with posters and you think “Wow I want my room to be beautiful like this.” Then you spend some more time in the room and you notice that the teacher never actually uses the posters? They serve more as a wallpaper to cover the walls and make the room cheerful. And have you ever walked into a room filled with a bunch of sloppy handwritten posters and thought “Wow those are messy”? Then you spend time in the classroom and you find out that the posters are strategic (in placement and existence) and referenced often? This is what I’m going to call my theory of purposeful posters. When posters are purchased they are bought with the idea that they will be used in the classroom, or perhaps that students will read them when they are bored (i.e. increasing print). Which is fabulous…but, then they get put up and never used. I admit my room had been described by my students as sparse when they first enter it. And it is pretty free of decorations. One reason is that I only spend about 10 periods a week in there with students. Another is I am positively stymied when it comes to WHAT to put up. I hate putting something up and having it NEVER be used. It just bugs me (although I did cave to putting up an inspirational banner to cover the ugly cork board above my chalkboard). Slowly throughout the year I have added two quote walls, a word wall bulletin board, and an affixes and roots bulletin board. Plus my said posters. The key word being, slowly. The items have purpose and have been reflected on. The quote walls provide students with quick snapshots into books they might be interested in. The word wall provides the definition of key terms we are working on as well as challenging words we come across in our reading. And the affixes and roots bulletin board list all the affixes and roots (and definition) since the beginning of the school year (the schools reading specialist introduced a school wide affixes and roots program this year where students focus on a different prefix, root, and suffix each week) which students add to when they find or think of a word that has that root. 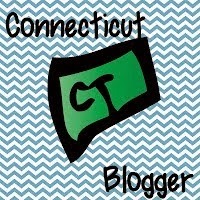 (I actually want to become more strategic in its use, but that’s for another blog entry). 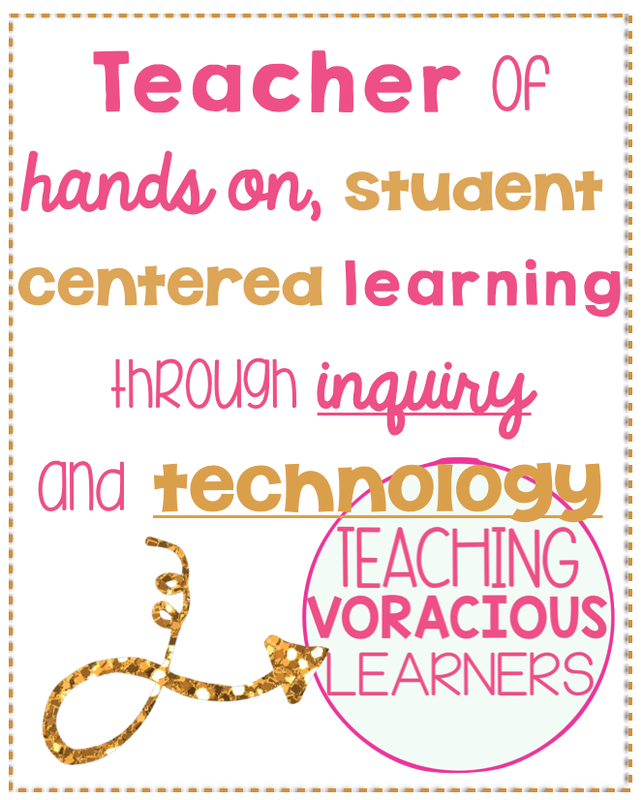 When I created the posters for my reading room, I had a reason, a need for creating them. There was a guarantee that once they were created I would refer to them and students would use them since I had already been doing so, in just a less efficient way. I think when the posters are hand-made they show that the teacher has come to the conclusion that creating the posters in necessary.